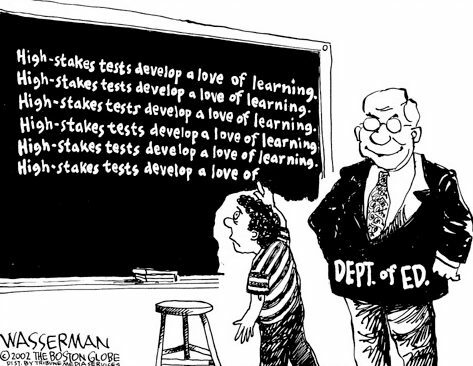 The last week has seen some alarming developments with respect to the myopic focus on success rates and standardized test results that has been at the heart of US education reform since the introduction of George Bush’s No Child Left Behind law. I teach a secondary five level course called ‘The Contemporary World’ at a public English high school in Montreal. One of the messages I am constantly trying to pass on to my students is that in attempting to understand world events, we should always be wary of overly simplistic formulations. Events do not occur in a vacuum. The historical and political context in which an event occurs always matters. In recent months, as the student strike in Québec has come to dominate the headlines, I have found myself repeating a very similar message in discussions with students, friends, neighbours and colleagues. The mainstream media has been very successful at framing this conflict in the narrowest of terms; as being strictly about students not wanting to pay a $1,625 tuition increase. With such a simplistic framing of the issue it has been very easy for people to agree with commentators who characterize Québec students as irrational and entitled because they already pay the lowest tuition in Canada. The problem with this analysis is that if indeed this movement is merely about irrational, entitled students, how does one explain the series of historic demonstrations of between two and four-hundred-thousand people? 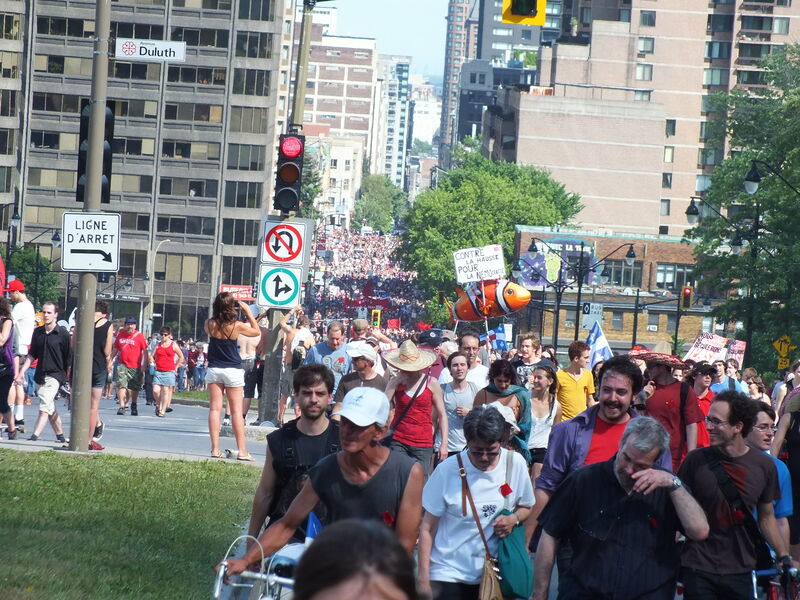 How does one explain the fact that these demonstrations were filled not just with students, but with teachers such as myself, university and Cégep [college] professors, parents, senior citizens groups, union members, etc.? There’s something missing from the simplistic picture the media is offering us. In examining the student strike within its broader historical and political context, I hope to offer a more complete picture of the issue. In so doing I also hope to articulate why, as a public school teacher and as a citizen of Québec, I find it important to actively support the movement for accessible education. Education and the 2012 Quebec Election: Part Seven – What do the Parties Have Planned for Teachers? Thus far this series has looked at where Quebec’s political parties stand on education funding, curriculum reform, school autonomy ,the abolition of school boards , reducing the dropout rate and private school subsidies. This article will examine what the parties have in store for the province’s teachers. 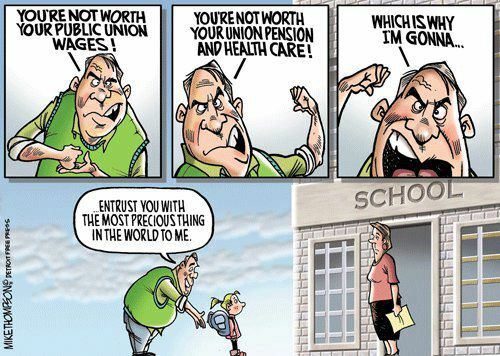 Right now across North America there is a well financed war being waged against teachers and their unions. The proponents of this war argue that the source of poor student achievement is too many lazy or incompetent teachers with too much job security. The solution they propose is usually a combination of taking away the job security and collective bargaining rights of teachers along with some form of merit pay scheme. In the US this is being achieved through the closing of public schools and the opening of semi-private charter schools (staffed by non-unionized teachers) in their place. This is the vision of school reform promoted by those referred to as “corporate education reformers” through slickly produced propaganda films such as “Waiting for Superman” and the soon to be released “Won’t Back Down”. The first problem with this narrative is that it is extremely insulting to the vast majority of teachers who are neither lazy nor incompetent and who in fact donate untold hours of unpaid work on their evenings and weekends to help their students succeed. The more serious problem with this narrative from a policy perspective, is that it is directly contradicted by the available evidence. Other than class size, the amount of experience possessed by teachers is one of the few factors that have been shown by a wide body of evidence to be correlated positively with increased student success. Not surprisingly then, since unions protect the job security and working conditions of teachers, improved student success is also correlated with rates of unionization. The fact that a teacher’s working conditions happen also to be the student’s learning conditions goes a long way in explaining this. 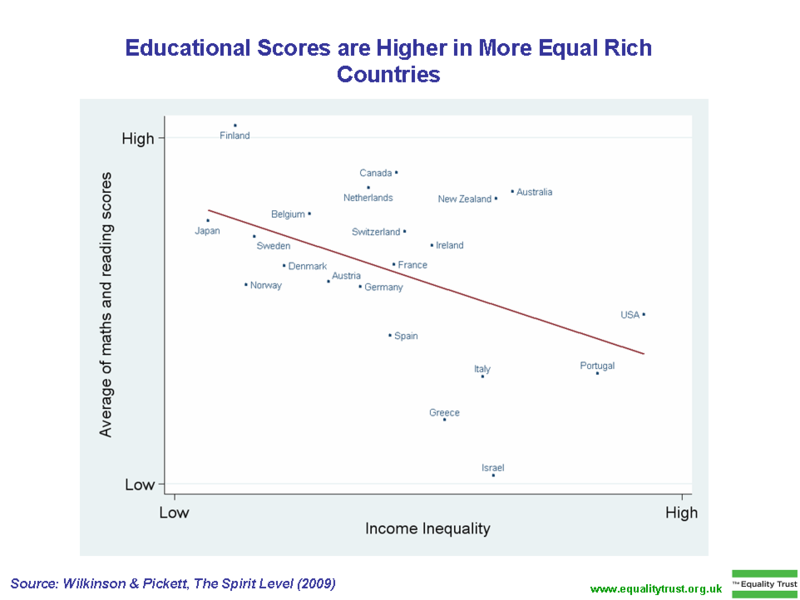 While it is true that correlation is not necessarily an indication of causation, those advocating to improve schools by attacking teachers unions need to explain why it is that students in regions without teachers unions do consistently worse in terms of achievement than students in regions where teachers are unionized. Thus far this series has looked at where Quebec’s political parties stand on education funding, curriculum reform, school autonomy ,the abolition of school boards and reducing the dropout rate. This article will examine where the parties stand on the public subsidies given to Quebec’s private schools. The issue involving the structure of Quebec’s education system that has been getting the most attention from the political parties this election has been the abolition or restructuring of school boards. However, there is a far more important structural issue that, while negatively affecting the learning and achievement of all students, reserves its worst consequences for the most vulnerable and needy. This is the policy of denying the 163,000 special needs students in Quebec access to a large portion of province’s education system. To understand this issue it is important to consider the structure of Quebec’s public education system. Quebec has a four-tiered education system: the fully private schools that receive no government subsidies and are not bound to follow provincial curriculum; the semi-private schools that do receive government subsidies and are bound to follow the Quebec curriculum; the “special status” public schools that have entrance exams; and the public schools that are open to all regardless of income or ability. Entrance exams in the first three tiers ensure that it is only this final tier that is accessible to the majority of students with special needs, regardless of their ability to pay for private schools. The result is an over-representation of students with special needs within a portion of a public system whose resources are already stretched thin. This situation would not be such a problem were it not for the public subsidies that make private schools more affordable and effectively allow so many families to opt-out of the public system. Compared to other provinces, Quebec has by far the highest percentage of students enrolled in private schools and the numbers are on the rise. From 2004 to 2010 the number of secondary students enrolled in private schools rose from 17 to 19 percent. On the Island of Montreal it has been estimated to be as high as 30 percent. This compares to a Canadian average of 5.6 percent. 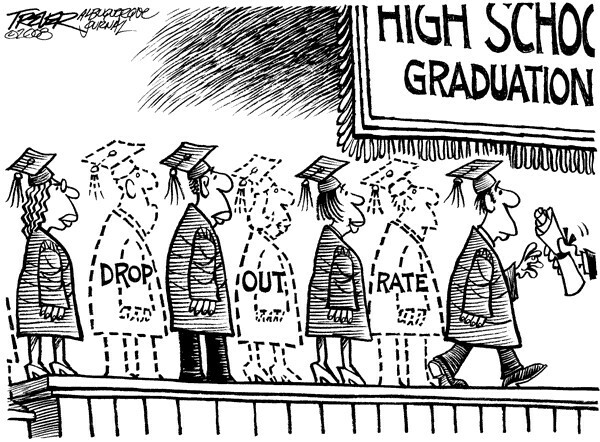 The only way to reduce private school enrollment and build a more equitable education system is to end the subsidies that allow so many to opt out of the public system. 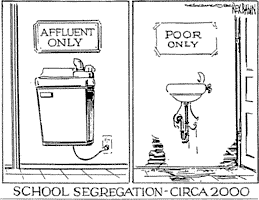 It is time for Quebecers to demand that their education system be structured based on principles of integration not segregation; equity not elitism. For a more complete discussion of the issue of private school subsidies, see my previous post, “To Improve the Education System, Stop Subsidizing Private Schools”. Education and the 2012 Quebec Election: Part Four – Where do the Parties Stand on the Abolition of School Boards? Thus far this series has looked at where Quebec’s political parties stand on education funding, curriculum reform and school autonomy . This article will examine where the parties stand on the abolition or reorganization of Quebec’s school boards. The idea of abolishing or in some way restructuring Quebec’s school boards is being proposed by nearly all of Quebec’s political parties. School board reform is a seductive idea for political parties because it offers them a means to direct more resources to Quebec’s badly underfunded public schools without making the sort of reinvestment that, though desperately needed, might be associated with increased taxes [cue the shrieks of horror from the press gallery]. However, as with most magic bullet solutions, voters have a number of good reasons to be skeptical. The first reason for skepticism is that the claims that restructuring school boards will create a more efficient system that benefits schools are dubious at best. Political parties make vague references to “duplication of services” and “inefficiencies” without presenting the concrete details of specifically which services are being duplicated or how services would be reorganized to be more efficient. Not a single study has been done to illustrate the concrete benefits of such a proposal. Nonetheless, five of Quebec’s six main political parties have proposed charging ahead in that direction. In order to assess the claims of the political parties with regard to school boards, voters need to have a clear idea of exactly what it is that school boards do. The fundamental mission of school boards is to equitably distribute the resources allocated by the Ministère de l’Éducation, du Loisir et du Sport (MELS) to the schools in its territory. However, school boards are responsible for much more than that: they manage real estate and building maintenance; they fix the rate for school taxes; they engage in long term planning; they negotiate the local conditions in collective agreements; they organize bus and cafeteria services; they prepare professional development and pedagogical support services for teachers. Any plan to abolish or reorganize school boards should at the very least explain how each of the above responsibilities would be fulfilled and how such a plan would be more efficient. 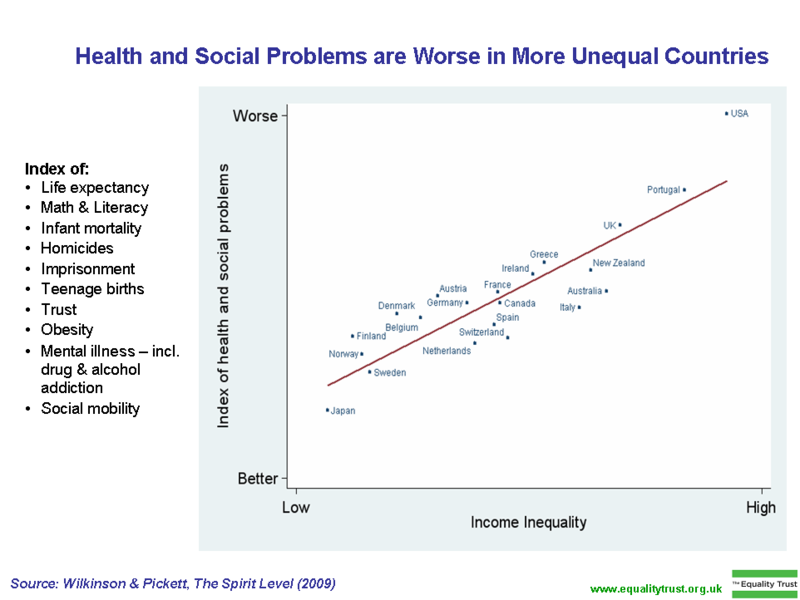 Another reason for skepticism has to do with Quebec’s recent history. This is not the first time Quebecers have been promised more efficient public services through the amalgamation or reorganization of public institutions. In 1998 Quebec reduced the total number of its school boards from 230 to 72, and between 2000 and 2006 it amalgamated many of its municipalities. Before buying into the most recent claims regarding the abolition or reorganization of school boards, Quebecers should ask themselves whether similar past efforts to make public institutions more efficient have produced the improvements in service delivery that the politicians had promised. Education and the 2012 Quebec Election: Part Three – Where do the Parties Stand on School Autonomy? Thus far this series has looked at where Quebec’s political parties stand on education funding and curriculum. This article will examine where the parties stand on the question of school autonomy. A week rarely passes in Quebec where there is not one news story or another about members of a local community clashing with school board or government bureaucrats over an issue involving schools. Because many feel that the centralized bureaucracies that manage our schools are out of touch with the needs of local communities, they argue for greater school autonomy. On the other hand, some degree of centralized management is needed in order to maintain equitable access to resources and system-wide standards. Indeed the question of local autonomy versus centralized management is one of the key issues every government must face in managing its education system. One of the major trends in North America involving the issue of school autonomy is the use of incentivized ‘performance indicators’ as a means for government to impose its will on schools. This is the philosophy behind George Bush’s ‘No Child Left Behind’ (NCLB) law that ties school funding and/or teacher pay to various measurable indicators of school success. 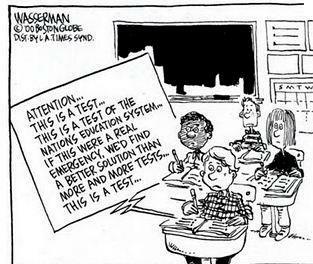 More often than not this involves standardized test scores. After ten years of such policies, the US has not improved its achievement rates at all. It has, however, succeeded in transforming its public schools to serve a single purpose: prep for high stakes standardized tests. Not only have American schools been canceling art classes, phys ed and even recess in order to focus more on test prep, but there has also been a wave of high profile fraud scandals throughout the US, some involving hundreds of teachers and administrators systematically changing the test responses of students to avoid their schools being shut down or defunded. The only other thing such policies have achieved is millions in profits for the corporations that own the private charter schools and have been all too happy to receive the public dollars formerly dedicated to the public system. Education and the 2012 Quebec Election: Part Two – Where do the Parties Stand on Curriculum Reform? Part one of this series looked at where the parties stand on education financing. This article will focus on where the parties stand on the question of curriculum reform. We often think of curriculum as something immutable; the three R’s. However, it is much more than that. 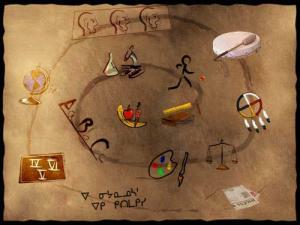 It embodies the knowledge, values and skills a society wants to pass on to future generations. As such, public education curriculum should be an issue of interest to all of those concerned about the future of our society. Over a decade ago the Parti Quebecois introduced a radical reform of Quebec’s curriculum centred around the concept of ‘competency-based evaluation’. Neither teachers nor parents had demanded such a reform. However, around the time this reform was proposed, the concept was being pushed aggressively by multinational corporations through international organizations such as the OECD. Apparently corporate leaders felt such reforms would provide them a more objective and standardized measure with which to rank employees in a globalized world. ‘Knowledge’, the traditional subject of evaluation, was seen as too abstract, subjective and rooted in the local. Since this reform had the support of neither teachers nor families, the two central stakeholders in education, its implementation was met with controversy and resistance, much of which remains to this day. Divisions over this reform even lead to the split of Quebec’s largest teacher’s federation and the formation of a new federation, La Fédération autonome de l’enseignement (FAE), which would take a more critical stand towards the reform. What’s more, government attempts to tinker with the reform in response to public pressure have rendered it philosophically incoherent. For example, teachers in Quebec are now instructed to evaluate ‘competency’ using percentages. Is it even possible to be 65% competent in something? Clearly Quebec needs another overhaul of its curriculum, but one that is done in consultation with teachers and the public. This requires a political party with vision. 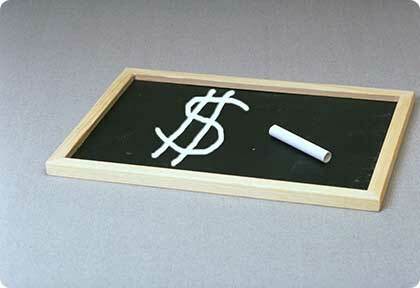 Education and the 2012 Quebec Election: Part One – Where do the Parties Stand on Education Financing? In recent months Quebec has been consumed with a single education issue: tuition hikes. The Charest government’s moves to increase tuition and repress dissent have dominated headlines and mobilized hundreds of thousands into the streets. Charest’s handling – or mishandling – of the so called student crisis now stands to be a decisive issue in the upcoming election. As important as it is, the boisterous public debate over tuition risks drowning out a number of other extremely important education issues. Years of under-funding and mismanagement have left Quebec’s entire public education system in a state of perpetual crisis. If voters are to play a role in electing a party that will address this situation, they need to understand the various dimensions of the crisis at hand. This series of blogposts hopes to help readers do just that by examining where Quebec’s political parties stand on a number of important education issues other than tuition. The aim of this series is to aid those concerned about public education in Quebec to make a more informed decision come election time. As its scope will remain limited to education issues, this series is in no way intended as a comprehensive review or endorsement of any party’s entire political program. Those interested in where the parties stand on the tuition/accessibility issue should see the excellent article on the subject by Rabble.ca’s Ethan Cox. While it is true that increased funding does not necessarily lead to improved educational outcomes, it is also true that in a context of systemic under-funding significant improvements to the education system require increased investment. 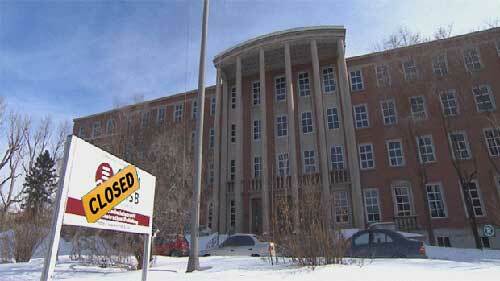 After years of deep cuts to education spending Quebec finds itself in exactly such a context. According to a 2008 manifesto published by a coalition of associations representing students and education workers, Quebec would need to spend an additional $700 million annually just to match the Canadian average in education spending on preschool, elementary and secondary education. In such a context it is extremely important for voters to assess both the willingness of political parties to reinvest in education and also the plan each party has for how they would reinvest any new funds. Although the next provincial election in Quebec may still be well over a year away, education is already emerging as one of its central issues. While the student protests for accessible education have directed much of society’s focus towards a number of issues at the post-secondary level, there are also many reasons for Quebecers to be concerned about what is being proposed at the elementary and secondary levels. Both Francois Legault’s Coalition pour l’Avenir du Québec (CAQ) and the governing Liberals (PLQ) seem intent on importing to Quebec aspects of the American corporate education reform agenda at the heart of George Bush’s ‘No Child Left Behind’ policy. Legault wants to bring the American war on teachers unions north. If elected his party intends to remove the tenure process that provides teachers with professional autonomy and job security. Meanwhile the Liberals, through their Bill 88 passed last year, have been flirting with the notion of using performance indicators to determine school funding. What all parties seem to agree on is that Quebec’s education system is in crisis and needs to be fixed. This, however, is nothing new. For at least the last twenty years politicians have been wringing their hands over the Quebec education system’s poor performance and high drop-out rate. Their response has been one ill-fated policy-fix after another. Prior to this latest focus on performance-based incentives, it was curriculum reform that was supposed to serve as our miracle cure. But the problem with miracle cures is that they tend not to be based on evidence. Indeed evidence is what is missing most from the current debate about the future of Quebec’s education system. What is needed is a government willing to consider the numerous policy options that a wide body of research, both in Canada and abroad, has shown to be effective in improving educational outcomes. Teachers in Quebec contribute a significant portion of each pay cheque to their provincial association. For teachers in Quebec’s English school system, that association is the Quebec Provincial Association of Teachers (QPAT). Teachers in Quebec’s French school system are divided between two federations. The biggest and oldest of these is the CSQ-affiliated Fédération des syndicates de l’enseignment (FSE). Due to a number of concerns over such things as Quebec’s infamous pedagogical reform and the 2005 collective agreement, nine teachers unions, largely representing teachers on and around the Island of Montreal, voted in 2006 to disaffiliate from the FSE and form la Fédération autonome de l’enseignment (FAE). A cursory comparison of the work being done by these unions to advance and defend the interests of teachers raises serious questions about whether teachers in Quebec’s English school system are being adequately represented by QPAT. Part one of this article will look at what the three Federations are doing to keep their members informed. Part two, which will appear next week, will focus on the finances and ongoing campaigns of the three federations. One of the important roles played by teachers unions in Quebec and indeed across Canada is to keep their members informed of political developments affecting the interests of teachers and other public sector workers. To that end both the FSE and FAE have regularly updated sections of their websites dedicated to the latest news. The FSE has both an ‘Actualité’ section, a press review called ‘À la une’ and a ‘quoi de neuf?’ section. The FAE has a ‘Nouvelles’ section with an impressive array of articles on a wide range of issues affecting teachers. In both cases, the websites contain commentary on the most recent issues. For example, within days of Francois Legault’s recent proposal to impose a professional association on Quebec’s teachers, both sites provided readers with news and analysis on this important question. Similarly, both sites provided analysis of the provincial budget and the Minister’s recently announced anti-bullying campaign. QPAT’s ‘Latest News’ section on the other hand contains all of six posts, the most recent being nearly a year old, from May 2011. “Everybody remembers this education reform in Québec, namely because it still affects us today. Nonetheless, a number of people have forgotten other measures Mr. Legault introduced in education. I’ll name just two: performance contracting and success plans. These two attempts reflect François Legault much more aptly than the education reform. In the case of the latter, he was only responsible for its implementation, not its conception. Performance contracts were arrangements between universities and the Ministry, which made funding for the latter conditional to reaching certain objectives (graduation rate, program revision, balanced budget, etc.). If results were not met, a part of the funding was retained. Success plans followed the same logic but for the elementary/high school system, with emphasis placed on the students’ academic success. Is QPAT Hiding the Implications of Bill 88 From Its Members? Back in 2008, before the Quebec Liberals passed Bill 88, QPAT submitted a brief to the National Assembly outlining its position on the Bill. It warned that the Bill would bring Quebec down the same path of “results-based testing” that held an “iron grip” on the US education system. It cited the failure of such policies to improve results and outlined the many reasons why holding schools exclusively responsible for the success of their students is unjust. The Brief also questioned the lack of government funding being offered to attain the proposed improvements. In short, the brief presented Bill 88 as having serious negative implications for both teachers and students. However, since this Bill was passed in 2008 QPAT’s serious concern about its implications seems to have all but disappeared. QPAT has done next to nothing to inform either its members or the public at large of the Bill’s dire implications. The first mention of Bill 88 to the members came in the June 2008 issue of QPAT’s Liaison newsletter. Gone were the dire warnings about the “iron-grip of results-based testing”. Instead the members were soothed with the following: “Some concerns about this bill exist, but it may provide for greater consistency among school boards in implementing certain MELS policies”. Exactly what those concerns were was never mentioned.